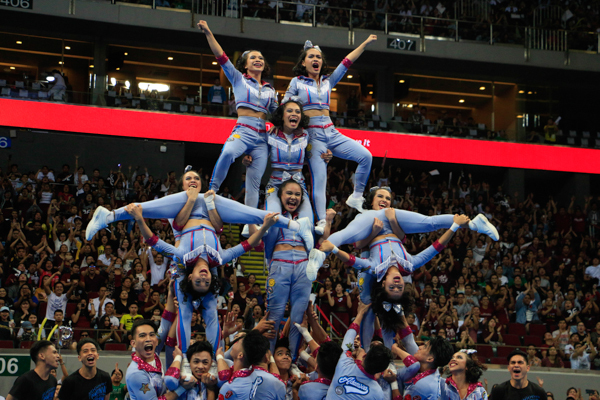 Adamson University spoiled National University's quest for five straight UAAP Cheerdance Competition titles after reigning supreme in the 2017 edition of the showpiece Saturday night at the Mall of Asia Arena. Adamson banked on an 80s themed routined with their flawless execution. National U was a title short from tying the UAAP record in successive top honors held by the University of Santo Tomas’ Salinggawi Dance Troupe. They fell out of the top 3 for the first time since 2012. UST-SDT and the University of the East Pep Squad finished as first and second runners up, respectively.